The future of 5G smartphones just got shown off by Qualcomm at its annual Snapdragon Summit in Hawaii. Considering how advanced this tech is, the phone looks pretty normal. New 5G phones are expected to become available to buy in 2019 as networks begin to roll out their support for the high-speed capable connection. But that's not all. 5G also means a longer range, more consistent connectivity and – crucially for gaming, autonomous cars and virtual reality – low latency. While 2019 will see 5G start to appear, the speeds shown in testing of up to 1Gbps, probably won't become a reality until systems are more established, likely by 2019 or later. 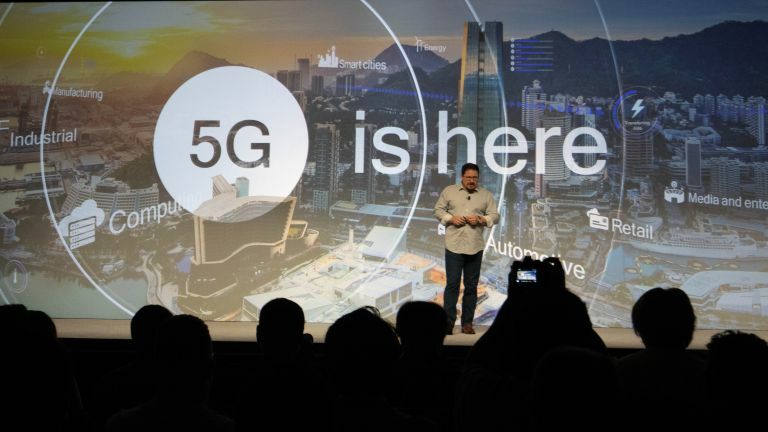 For now, this is the first handset shown off by Qualcomm to feature 5G support. Qualcomm has shown off the phone with its latest Snapdragon 855 CPU which is able to support 5G. Rumours suggest this will be the chip we see appearing in new 5G capable phones that start to appear early in 2019. The Samsung Galaxy S10 should be 5G capable and running the Snapdragon 855 CPU as should the LG G8, Google Pixel 4, Samsung Galaxy Note 10, and Moto Z4, to name a few. Also expected in 2019 are a whole host of foldable phones, although these will likely focus on that feature as the sell and may not come with 5G support too. Although at this early stage even that is uncertain. Expect Huawei to also launch 5G phones in 2019, only with their native Kirin chipsets onboard. Even Apple may jump on the 5G bandwagon with its new iPhone 11.